I’m taking this as a sign that we will be friends one day. 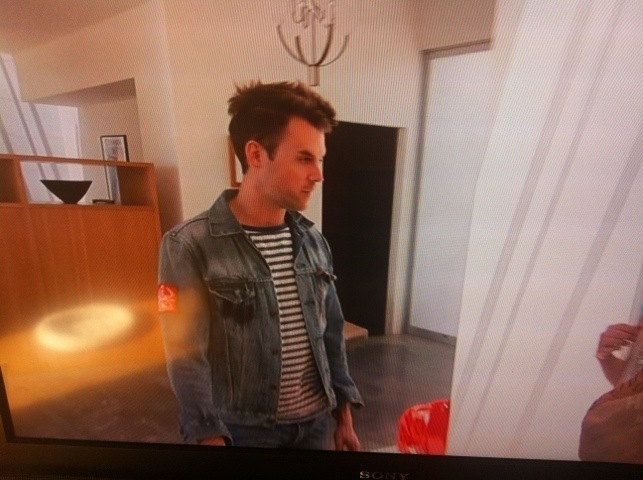 My dream best gay, Brad Goreski, was rocking denim-on-denim in last night’s episode of It’s a Brad, Brad World not once, but twice! These aren’t the first Canadian Tuxedos I have spotted this season. Did anyone else notice that guy in double denim skipping across the street in NYC last week? Hilar. Later, in Alabama, Brad puts together a Canadian Tuxedo by pairing an acid-washed trench coat and light hickory striped denim overalls. 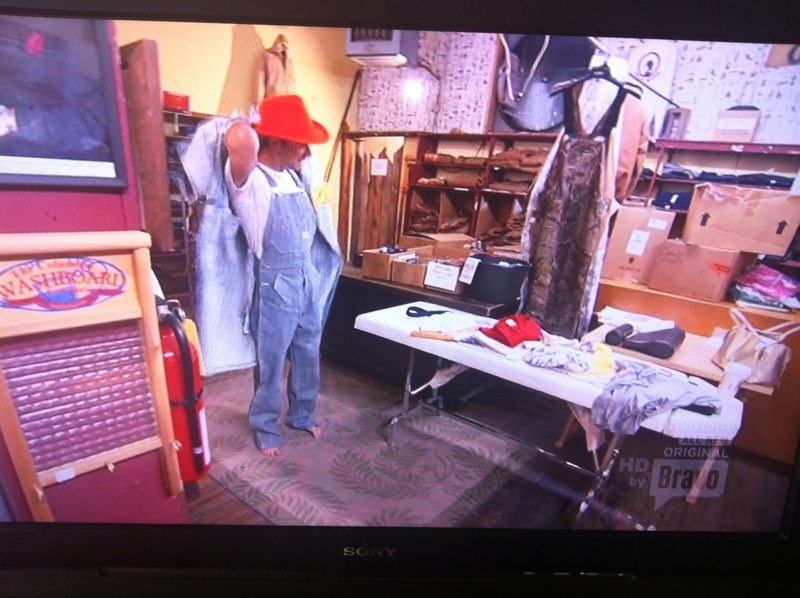 Even the General Store owner was in a Canadian Tuxedo. This entry was posted on Tuesday, January 24th, 2012 at 2:31 pm	and tagged with Alabama, Billy Re, Brad Goreski, Brad World, Bravo, Bravo TV, Canadian Tuxedo, Denim, Denim on Denim, double denim, Fashion, It's a Brad, Los Angeles and posted in television. You can follow any responses to this entry through the RSS 2.0 feed. « Royal Canadian Tuxedo: Official Blog Band?